The base versions of the Toyota Highlander are good values, but Limited and Hybrid models are as expensive as Toyota's own luxury Lexus RX crossover. No matter which facet or dimension you measure--except excitement--the 2013 Toyota Highlander offers competent performance, great space, and good value. The Toyota Highlander works hard to satisfy the people-moving needs of families--and that's it. It doesn't try to be exciting or rugged. It handles most of the chores you'd assign to a minivan, even though it doesn't carry a pair of sliding side doors or their associated stigma. The Highlander simply rolls along safely, and comfortably, presenting a good value in base trim levels, steering a little too firmly into luxury territory when it's stuffed with hybrid components or too many features. The 2013 Toyota Highlander and Highlander Hybrid excel at people-toting--although they're neither quite as spacious nor quite as refined inside as some other three-row models like the Ford Flex or Chevrolet Traverse. A wide range of people--from busy moms to geriatric empty-nesters--are going to appreciate the Highlander's ride height, and the height of its seats. In front or in the second row, they're easy to climb into (or easy to lift a child into), and their wide, soft, and flat contours make getting in easy, even if they don't give you much side support in the corners (you're not going to racing around them anyhow). There's a swell amount of interior storage, and both the second and third rows fold forward flat. A cargo cover is included in all versions from the new Highlander Plus trim on up, and with the seats flipped forward there's up to 95.4 cubic feet of total capacity (or 94.1 in the Highlander Hybrid). All that space needs a wrapper, and the Highlander's is just serviceable. 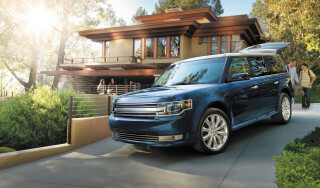 Distinctive styling isn't its strength--its practical, spacious interior is. The current version of the Highlander, with us now since 2008, has looked a bit derivative--or at the very least, drawing a little too literally in equal parts from Toyota's car and truck sides and ending up with an appliance that lacks any real flair of its own. That said, there's a certain honest, straightforward charm about the Highlander, once you get past its lack of flair. There's little doubt the Highlander is unexciting on the outside; and for the most part the same rings true inside. The Highlander's well-built, well-equipped cabin puts all the controls where they need to be, without all that much heed to fashion.Highlander Hybrid models are distinguished from the gas-only Highlanders, only if you look close enough. Mostly, it's differently shaped fog lamps, some blue plastic and chrome trim that draw the visual line between the versions. There are essentially three powertrains available on the Highlander. Its base four-cylinder produces 187 horsepower, and it does just fine with front-wheel drive and a six-speed automatic. While it can deal alright with heavier loads, too, fuel economy isn't stellar. The same is true of the much more lusty 270-horsepower, 3.5-liter V-6 Highlander--though the five-speed automatic seems to take some wind out of it. EPA ratings are all mid-pack for all Highlanders save for the Hybrid model. The Hybrid now has a 3.5-liter V-6 and makes 280 hp altogether, and it's the way to go for those who want something very big, yet green: fuel economy bumps up to 28/28 mpg. All of the Highlander models tend to lull you into simply setting the cruise control and conversing with passengers; it's very softly sprung, and the electric power steering tends to be light—too much so, we've observed, on the highway. The optional four-wheel-drive system does give it a chance at slogging through a muddy driveway, deep snow, or rutted trails; Highlander Hybrid models get a different AWD system that uses electric motor power exclusively at the rear wheels. For 2013, Toyota has added a new Highlander Plus trim, between the Base and SE versions, while the Limited trim remains at the top of the lineup. Even base versions include a new display audio system with a USB port, Bluetooth audio streaming, and Bluetooth hands-free calling connectivity. Extra equipment on the Plus includes a multi-information display with trip computer; second-row reading lamps; a rear backup camera; black roof rails; a cargo cover; a lumbar adjustment for the driver's seat, and one-touch second-row seat folding. Spend up to the Highlander Limited, and the convenience scale tips with leather-trimmed power seats, navigation, 19-inch wheels, three-zone automatic climate control, dual power front seats, and the Center Stow Seat, as well as woodgrain trim. Major options include a JBL premium audio system and a rear-seat entertainment system. The ubiquitous 2013 Toyota Highlander doesn't have much styling at all, but it looks functional. While Toyota has honed in on interior practicality with the Highlander, it appears a little unfocused on the outside--and missing distinctiveness. The current version of the Highlander, with us now since 2008, has looked a bit derivative--or at the very least, drawing a little too literally in equal parts from Toyota's car and truck sides and ending up with an appliance that lacks any real flair of its own. We tend to think that it looks a bit like the previous-generation Subaru Forester, sized up a notch. That said, there's a certain honest, straightforward charm about the Highlander--if you can get past its lack of flair. A couple of years ago Toyota gave the Highlander a very minor facelift, with a somewhat different front end and a little more chrome trim, plus a few more angles and creases. 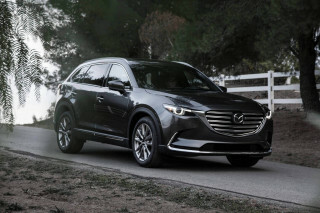 That gave it a little more interest--at best, it's a little more handsome--and side creases that connect the outer edge of the headlamps to the taillamps help visually lower the design a bit. Hybrid models are distinguished from the gas-only Highlanders, only if you look close enough. Mostly, it's differently shaped fog lamps, some blue plastic and chrome trim that draw the visual line between the versions. There's little doubt the Highlander is unexciting on the outside; and for the most part the same rings true inside. The Highlander's well-built, well-equipped cabin puts all the controls where they need to be, without all that much heed to fashion or flair. A simple binnacle covers the primary gauges, which are tucked into cut tubes of plastic, and Toyota's traditionally large buttons and knobs drive the climate and audio controls. The top Limited edition gets some unconvincing woodgrains, with a band of metallic plastic trim, while its leather upholstery warms up the interior immensely. Screens for the new Entune multimedia infotainment system ar4e located top and center, interrupting what's a somewhat slab-like dash. 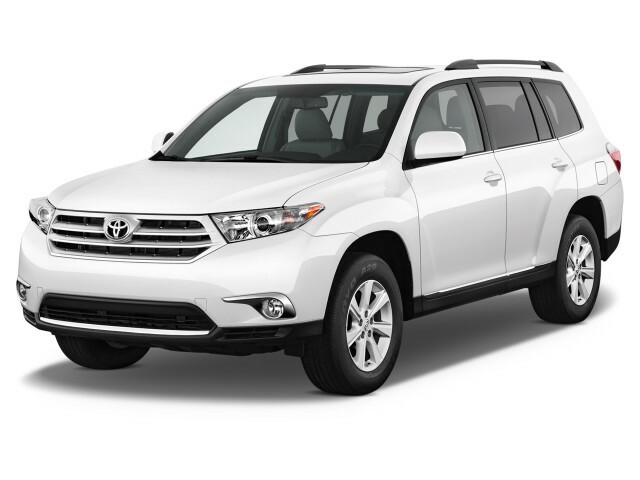 A strong, torquey V-6 makes the 2013 Highlander confident and quick; but its soft suspension commands little enthusiast. Don't even consider the 2013 Toyota Highlander if driving excitement is a priority; you're not going to find it here. But if you have frugal ways; want capable, refined family performance; or want one of the greenest vehicles for a large family that doesn't flaunt it, there's a Highlander to fit the bill. At the base level, the Highlander is powered by a 2.7-liter four-cylinder making 187 horsepower. It's coupled to a six-speed automatic drives the front wheels. This version of the Highlander is by no means quick or fast--expect 0-60 times of nearly ten seconds--but the price is relatively low; it's quite fuel-efficient; and the powertrain is relatively smooth despite taking its time. 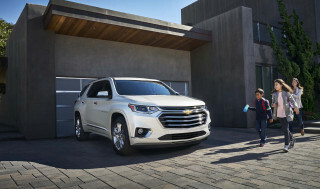 We think most Highlander shoppers will be happiest with the V-6 version, which comes standard on the top-of-the-line Limited and is optional on the others; it more directly competes with the likes of the Honda Pilot, Chevrolet Traverse, and Ford Explorer, and has the confidence for passing or quick takeoffs, even with a full load. The 3.5-liter V-6 makes 270 horsepower and has plenty of accessible torque right in the low- and middle revs, where the five-speed automatic can make good use of them. 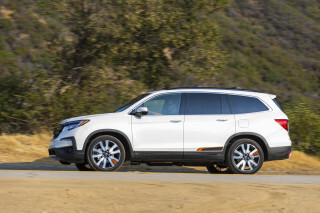 We think the transmission's shifts could be quicker, and it's geared a little tall to prioritize gas mileage, but it's a relaxed highway cruiser and has a tow rating of up to 5,000 pounds. The other choice, which costs about $10k more than the other models, is the Highlander Hybrid. It pairs a 3.5-liter V-6 with batteries and motors. 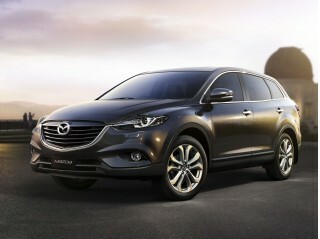 It fares better in fuel economy while netting 10 additional horsepower, for a total of 280 net hp. This system, when you also get all-wheel drive, has a unique arrangement with two electric motors where the transmission would go, plus one more electric motor for the rear wheels. Highlander Hybrids accelerate strongly, while they also offer a baked-in "EV" driving mode that allows you to coast on battery power alone for a handful of miles; but don't expect the Hybrid's all-wheel drive system to be a serious mud-churner; its motors may overheat and the software will shut down those motors down. Gas-only Highlanders also can be ordered with four-wheel drive, too. With 8.1 inches of ground clearance and available all-time four-wheel drive (with a 50/50 torque split), the Highlander has the goods to get through a muddy driveway or deep snow, along with rutted trails. Across the entire lineup, the Highlander feels responsive enough, but is no driver's car, with the electric power steering offering little feedback and the suspension settings quite mushy. Larger, lower-profile wheels in the Limited model do give the Highlander a very slightly more engaging personality. With three rows of seating and a relatively smooth ride, the Highlander is spacious and versatile in all the ways a busy family would want. The 2013 Toyota Highlander and Highlander Hybrid excel at people-toting--although they're neither quite as spacious nor quite as refined inside as some other three-row models like the Ford Flex or Chevrolet Traverse. A wide range of people--from busy moms to geriatric empty-nesters--are going to appreciate the Highlander's ride height, and the height of its seats. In front or in the second row, they're easy to climb into (or easy to lift a child into), and their wide, soft, and flat contours make getting in easy, even if they don't give you much side support in the corners (you're not going to racing around them anyhow). The Highlander's head room soars, even in the second row where the roofline tapers ever so slightly, and leg room is ample too--the Highlander's middle seat reclines, and can be configured with a "Center Stow" seat that provides a middle seat, or folds out of the way so parents can climb into the standard third-row bench to load in kidlets. Beginning last year, all Highlanders started to include the third-row seat, which had previously been optional; it's acceptable, but no adult would want to sit on this small, rather hard vinyl-upholstered bench for very long. Behind those seats, it gets better--especially if you keep the third row folded. The Highlander offers a swell amount of interior storage, and both the second and third rows fold forward flat. A cargo cover is included in all versions from the new Highlander Plus trim on up, and with the seats flipped forward there's up to 95.4 cubic feet of total capacity (or 94.1 in the Highlander Hybrid). There are plenty of places to store electronics and smaller items, too. The center console is vast and deep, and bins on the doors will easily hold iPads or game controllers. The Highlander a safety edge thanks to some enviable safety ratings, although it's not at the forefront in advance-tech accident-avoidance features. The 2013 Toyota Highlander stays true to its family-oriented purpose with a strong set of safety features, as well as good results from both major crash-test agencies. The only thing missing are some of the advanced safety features, such as blind-spot monitors and lane-departure warning systems, that are already trickling down to mass-market vehicles--even the Camry. The Insurance Institute for Highway Safety (IIHS), an insurance-industry-funded group, has given the Highlander a "good" grade in every test. 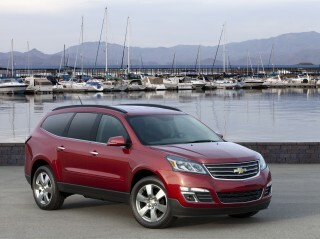 It's also passed the new roof-crush with flying colors, and it earns the IIHS Top Safety Pick award. In federal NCAP testing, the Highlander has earned a four-star overall score, but that includes an excellent five-star performance for side impact. Dual front, side and curtain airbags are among the Highlander's standard equipment, as are a driver knee airbag, daytime running lights, downhill assist control (4WD models), and hill-start assist. A rearview camera system is standard on all but the base Highlander--and it's optional there. The Toyota Highlander has a thoughtful set of standard features, and upgraded infotainment keeps the 2013 model in the good graces of busy parents. The Highlander is pitched primarily toward two crowds: busy parents and families, and empty-nester types looking for extra passenger and cargo space when it's needed.In catering to both groups, the 2013 Highlander covers a pretty wide range of prices and equipment, with four different trims and a price span of about $12k, up to a fully-loaded, $42k Highlander Limited. 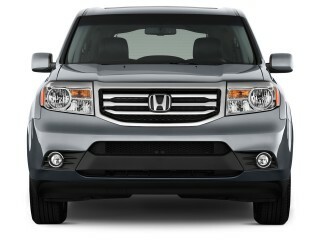 New for 2013 is a Highlander Plus grade that price-wise slots in between the base model and the mid-range SE. 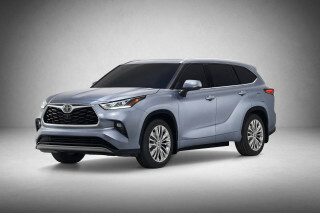 Base versions still include a lot, with power windows, locks and mirrors; air conditioning; cruise control; a tilt/telescoping steering wheel; and a new display audio system with a USB port, Bluetooth audio streaming, and Bluetooth hands-free calling connectivity. Extra equipment on the Plus includes a multi-information display with trip computer; second-row reading lamps; a rear backup camera; black roof rails; a cargo cover; a lumbar adjustment for the driver's seat, and one-touch second-row seat folding. The Highlander SE adds on more audio functions--satellite radio, Bluetooth streaming, a USB port--along with leather seats for first- and second-row chairs. It also sports a moonroof, a power tailgate, and a power driver seat, as well as a 3.5-inch LCD monitor in the dash that's used to display vehicle functions. Spend up to the Highlander Limited, and the convenience scale tips with leather-trimmed power seats, 19-inch wheels, three-zone automatic climate control, dual power front seats, and the Center Stow Seat, as well as woodgrain trim. The standard Hybrid equals the base gas-powered Highlander's features, while it adds UV-reducing glass and the 3.5-inch LCD display, which is used for the rearview camera's readouts. It also comes with Bluetooth, XM satellite radio and a USB port. The Hybrid Limited tops off the Highlander range with 19-inch wheels, more chrome trim, and a power liftgate. There's also a Leather Premium Package available on the Hybrid, wrapping a power moonroof, leather front- and second-row seats, heated front seats, a universal garage-door opener, and an engine immobilizer into the base Hybrid package. Major options include a JBL premium audio system, touch-screen navigation (SE), and a rear-seat entertainment system. Four-cylinder and Hybrid versions of the 2013 Highlander get impressive gas mileage, but strong V-6 models aren't as noteworthy. Between the Highlander's three powertrains, there's a pretty wide range if you go by the EPA ratings; but in real-world testing, as we've seen it, much of that difference is erased. With its base four-cylinder engine and front-wheel drive, the Highlander rates at 20/25 mpg in EPA tests. Mileage drops to 18/24 mpg with the V-6, and goes down to 17/22 with all-wheel drive. 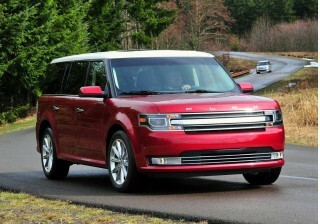 That's about on par with the Ford Flex. The Highlander Hybrid is really the green star of this lineup, with ratings of 28 mpg city, 28 highway, along with quicker acceleration than the base model. But in real-world testing we've never managed to replicate those numbers; over several drives we've seen a bit lower.